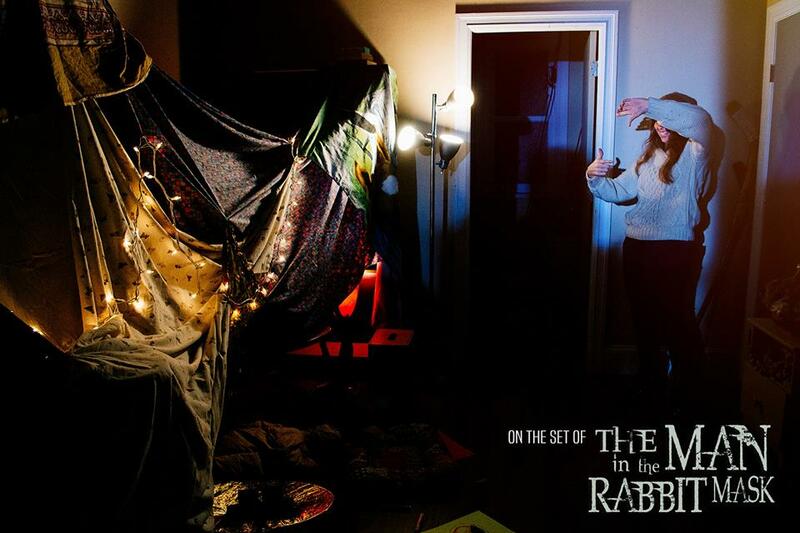 Meet Canadian filmmaker Ariel Hansen, an incredible young woman, who is rapidly making her mark in the genre filmmaking industry. Her passion for all things horror and sci fi shines through in her work, and we can’t wait to see what the future holds for this multi-talented emerging star of the macabre. Born in Victoria, British Columbia she began her career as an actor appearing in such films as Ghost Can, Dangerous Waves, Arms and Evil Dead in 60 Seconds. 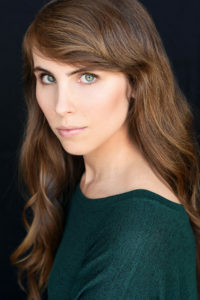 In 2016 she formed the production company Bad Cookie Pictures with Christopher Graham, as an outlet for their shared passion for genre filmmaking. With Ready to Burst, the company’s first film production, she made the leap behind the camera as both a director and writer. 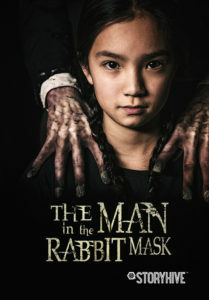 Ariel then teamed up with Akuma Films to make The Man in the Rabbit Mask, an eerily disturbing short film which won funding from the Telus Storyhive program. When she’s not making movies Ariel can be found devouring comic books, sewing both clothes and costumes, growing her own vegetables, or out in the woods with her family’s greyhounds. Before we get to the movies that you’ve made, can you tell us about your experience in front of the camera. You’ve appeared in several horror movies? Ariel Hansen: Yes, that’s actually how I got my start in the film industry, I’ve always loved acting and when I fell in love with horror I knew that was where I wanted to focus my efforts. My first horror role was in Luchagore’s Evil Dead in 60 Seconds, I played Cheryl and instantly fell in love with being covered in fx makeup and fake blood. As a fan of the genre and someone who creates horror movies, what do you think is the purpose of horror? Why do people love to be scared? Ariel Hansen: I think people watch horror movies for the same reason we have nightmares. It’s a safe way to experience deadly situations that mentally prepare you for the worst and get an adrenaline rush from the comfort of your couch. It can also be quite cathartic to see a character you can’t stand meet a grisly end. When did you start making movies and why in this genre? Ariel Hansen: I started making films last year when I decided I wanted to get a script I had been writing and planned to star in, Ready to Burst, made. 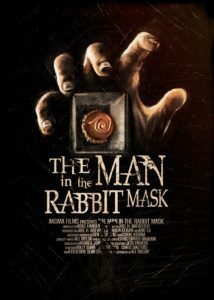 When we were having a hard time finding a director my producing partner Christopher Graham suggested that I direct it. One thing lead to another and now I’ve got two shorts under my belt. I choose to make horror films because it’s the genre I love the most. The idea that there’s more to the world than what we see in our everyday lives really intrigues me and those otherworldly things being of a more dark nature always seemed more likely to me. There are many ‘sub categories’ within the horror genre, from slasher to supernatural, Gothic to psychological. Which do you think is the scariest? What’s your favorite horror ‘type’? Ariel Hansen: My favourite sub-genres to watch are the ones to do with the occult or ones that involved sinister experiments, but the ones that I find the scariest have to do with something altering your perception of reality, like in Oculus, or being destroyed and replaced by something pretending to be you, like in The Thing. What kind of stories scared you as a child? Ariel Hansen: Anything to do with aliens. I was petrified of the Mars Attacks trailer and any time I heard the X-Files theme song I would run away scared. You’re a young woman working in a largely male dominated genre and industry, how hard has it been to gain recognition and get the support you need to make horror movies? Ariel Hansen: In this sense I’ve been lucky because working as an actor in independent films I was able to build up a network of friends in the industry who were all there to support me when I decided to begin making my own movies. 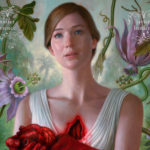 It is an uphill battle though given that so few speaking roles are written for women and there are even less women getting opportunities behind the camera. Working towards gender parity in my films both in characters and crew is definitely something I try to focus on. 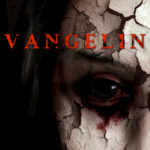 Who are your favorite horror authors and directors? Ariel Hansen: I’m of course a big fan of John Carpenter and David Cronenberg when it comes to directors, but there are some real badass ladies making short films right now like Gigi Saul Guerrero and Jill Gevargizian that I look up to, along with women who’ve gotten to make features like The Soska Sisters and Karyn Kusama. I still think about The Invitation all the time. When it comes to authors I read a lot of comics so Joe Hill, Mike Mignola & Joshua Hale Fialkov have written some of my favourites, I’ve also started reading The Dregs by Lonnie Nadler & Zac Thompson which is really promising so far. Ariel Hansen: Ready to Burst follows Kate (played by myself) and Dylyn (played by Lee Shorten), a young couple who have been dying to have a baby. When they finally find success what follows is Kate’s struggle with the early stages of an unusual pregnancy as it takes a horrific turn. What was it like to both direct and star in a film? Ariel Hansen: While it was a lot of hard work, because it was my first time I didn’t know any better or have anything to compare it to. I did find directing myself to be easier in some ways because I would watch the replay and just know what to do differently in the next take without any communication. I will say I wouldn’t have been able to do it without my awesome Director of Photography and crew members doubling as stand ins while we set up the shots. This is quite an intense piece – especially for viewers who happen to be pregnant! Why this theme? Where did the idea and characters come from? Ariel Hansen: I watched a preview for an episode of The Outer Limits when I was a kid that dealt with pregnancy and ever since then I’ve always been scared by a lot of the physical aspects of pregnancy. I also love Rosemary’s Baby and took a lot of inspiration from that. The idea came to me while I was riding the bus once and I thought if this scares me it will probably scare other people too. The characters are somewhat based around the idea of gaslighting, so Kate became a woman who is always told she’s over reacting and worrying too much. I think that’s about all I can tell you about the characters without venturing into spoiler territory. 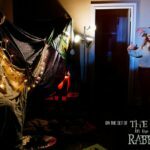 The Man In the Rabbit Mask, a 5-minute short film you directed, was the winner of Storyhive’s $10,000 grant. Can you tell us a little about the movie? And you have plans to create a feature length film from this concept? Ariel Hansen: Yes, the writer Joel H. Brewster has already written a feature length version of the film which Akuma Films are hoping to find funding for using the short as a proof of concept. Ariel Hansen: I actually keep a list of all the horror movies I watch, it’s currently over 550, and this is the hardest question for me to answer even though everyone I meet asks it. I can tell you that my favourite horror film I watched recently was The Autopsy of Jane Doe, which was an excellent follow-up to the director’s first film Troll Hunter, one of my favourite found footage films. Ariel Hansen: Aliens still manage to freak me out, I watched Invasion of the Body Snatchers recently and ended up staying up all night making sure my boyfriend wasn’t replaced by a pod person. Ariel Hansen: I’m actually in the middle of co-directing my first short film of the year for a competition called Tales Beyond the Bar. It involves two young women (one of which I will be playing) going for a night out at a mysterious location and without spoiling anything let’s just say not everyone gets out alive. Sounds terrifying…we can’t wait to see it! So we’ll leave it there for now and wish you the best for the future. 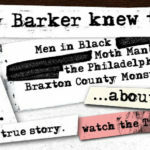 Thank you for taking the time to talk with us at MsHorror.com. Thank you so much Lyzbeth. Please keep coming back! We’ll have more by Ariel Hansen very soon.